This the second post in a series about our Disney Cruise on the Wonder in October 2014. To check out the other posts in this series, click here. The background: This past July, in the middle of summer break, my tolerance level for bickering children was getting low. I found myself dreaming of getting away without them, if even just for a bit. Don’t get me wrong. These girls are my life. My heart. My everything. But for them to maintain that high status level, sometimes Mommy needs a break. Can I get an amen from the congregation? It also dawned on me that Mr. MyrtleBeachforFamilies and I have milestone birthdays coming up and we weren’t planning on a big party, nor did we want big gifts. We just wanted a little time off. The light bulb lit up and I started researching cruises. 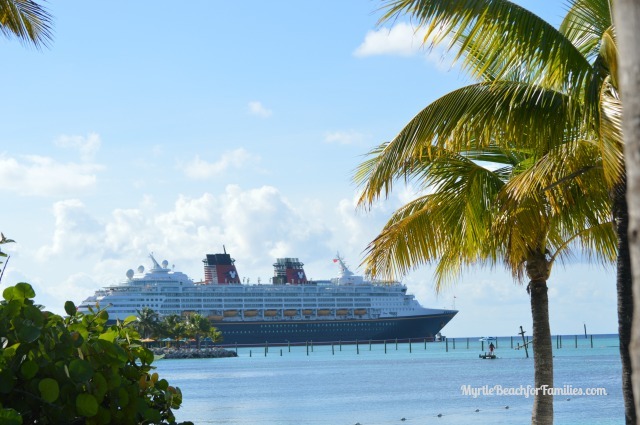 The cruise we chose: It might seem odd that we picked a Disney cruise, but hear me out. 1) If you’ve read anything on this blog, you know we have an appreciation for the Disney brand and travel experience. Read that to mean we’ve spent an embarrassing amount of money traveling to Disney World and will continue to do so again and again. We love it. 2) Any time you hear someone talk about a Disney cruise they gush a little. I had a high-level of confidence we’d be pleased. 3) They have this amazing private island called Castaway Cay. The videos and pictures I saw were calling me. The itinerary included two days at that island. 4) They allow you to bring your own alcohol on board. Yes, you read that right. There are restrictions, so make sure you do it right. 5) While we did consider other brands, the dates for this trip worked best for us. We went with a four-night cruise on Disney Wonder, leaving from Port Canaveral, FL. It stopped in Nassau, Bahamas and, as I mentioned, had two days on Disney’s private island. 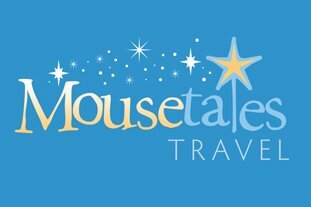 Booking: Never have I used a travel agent, but I summoned the help from my friend, Kimberly Hill, owner of Mouse Tales Travel on this one. I needed her advice on cabins, cabin location, and other tips. I hadn’t cruised in many years. I was planning to go as inexpensively as possible and pick an inside cabin. She talked me out of it and I’m so grateful she did. More on that later. Getting ready for the trip: I needed to get a passport. True, true…it’s not absolutely necessary to have one if leaving and entering the US by boat, but Kimberly advised me otherwise. Should anything happen while away and a flight be required from any point outside the US into it, there would be a considerable delay. To get one, go to the US State Department’s website. There is a form you fill out, then take that as well as a long-form of your birth certificate to an acceptance agency. Locally, I went to the Horry County Clerk of Court in the courthouse in Conway. No appointment was needed and the process was pretty painless. My passport arrived three weeks later. Packing: I packed one casual outfit and one dinner outfit for each day. In addition, I brought three bathing suits, two cover-ups, flip flops, comfortable walking sandals, black leather sandals, brown leather sandals, and dressy flip flops. Within my dinner attire collection, I had a “Pirate Night” outfit, as well as a “formal” outfit as indicated on the cruise itinerary. Spoiler alert – I packed too much. We ended up spending our days in bathing suits and cover-ups. And, with our late dinner seating, only in our evening attire for very short amounts of time, so re-wearing pieces of it only made sense. Who likes extra laundry when you return home? Also, the smooth-bottom flip-flips were great until it rained one day and the deck got slick. I am a terrible ice skater. Thankfully no injuries were sustained, but on our next cruise, I will definitely bring a pair with a textured bottom.